Shared Webhosting is perhaps the most economical platform for hosting a website. This is because the total cost per machine is covered by the wide array of users and because the provider gets favorable ratios, they are able to go back down to the customer. As the name suggests, shared web hosting involves a physical server whose available hosted resources are shared among a number of users. Due to the fact that the resources are shared, each user is limited to a set limit of specific hosting services such as email accounts, disk space, databases, monthly traffic, and FTP accounts and so on. The reason for this is so all the other users can access the same resources equally. Aside from that, all the available performance resources such as CPU, RAM, MySQL, single Mail server, single Apache Server on a single server are shared. Running a personal website on shared hosting is very convenient in the sense that all the updates and technical part of web hosting is handled by the professionals, leaving you with all the time to concentrate on web content and other parts of your website. This is one of the greatest advantages of using shared web hosting. A user is able to access enough space up to 40GB mostly because of the competition and the great number of users who subscribe to the service. Shared web hosting is perfect if you have recently just launched your website and are still in the early stages of developing it and building traffic. One of the greatest concerns when it comes to web hosting is the bandwidth and space provided by the host provider. Bandwidth is what’s going to help you run your website efficiently. Shared web hosting offers just the right amount of space and bandwidth for startups that still don’t have too much traffic. It offers a great way to transition into your business or website and help you understand how to run things. When using shared web hosting, most of the resources are shared including using the same domain. But with the control panel, you can personalize your website and give it the feeling you want it to elicit. You are able able to put your own pictures, videos and files and even create email domains to customize your website. 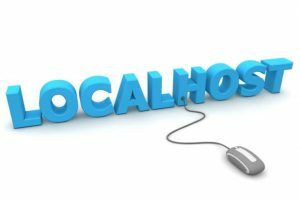 When it comes to selecting a shared web hosting provider, choosing a local host always comes with its advantages. For one, you can be sure of a personal touch in terms of the customer service you receive. Additionally you can be sure of round the clock support in case you need to speak to an expert or when you are having problems with your website. Speed and optimal performance is something else you will enjoy with a local host compared to other providers. This can save you a lot of time when uploading stuff on your website, something your clients and audience are sure to appreciate. Another factor to consider is the fact that Google uses geographical location to rank websites, you therefore want to host locally to ensure your website is running optimally. These are some of the best Shared Web Hosting services of 2016 that you can choose from. Go with the one in your locale and one that you feel is best suited to the direction of your business or website. Start by doing a little research to ensure you get the best deal.